At Horsted we are lucky to be involved with Starfish Malawi, which has given us the opportunity to pair up with a school in Malawi. Our partner school is called Mtiya Primary School. The children have recently been given the chance to ask questions about life in Malawi as well as answer questions about life in England. We have shared pictures and videos and are enjoying learning about life in Malawi. We took part in a writing exchange with our partner school in Malawi. Click on this link to look at some of the responses we got from the children who read our work. Our Dutch partner school wishing us a happy summer holiday. We have been sent some pictures from Mtiya Primary School. Year 1 sent some pictures to Mtiya Primary School showing our children trying to carry buckets of water on their heads. Here is a picture showing us how it's really done! We would like to say a huge thank you to everyone who donated stationary and sports equipment to give to our school in Mtiya! A big thank you to all the children at Horsted for decorating their matchboxes beautifully for our Dutch friends. We thoroughly enjoyed looking at the contents of the ones we received from them. 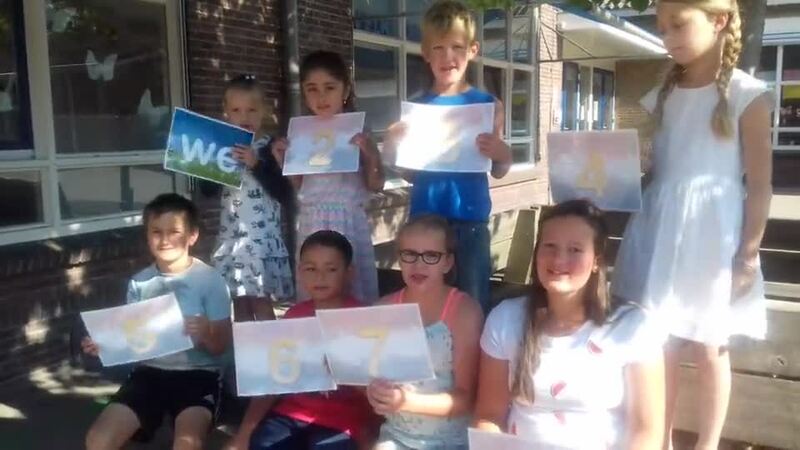 Wishing you, and also all the children at our Dutch partner school, Kon. Julianaschool, a very Merry Christmas and a Happy New Year. Our Dutch partner school loved the welcome back banner that we sent them ready for the start of their school year! Easter post is on its way to our Dutch partner classes. We have recently exchanged matchboxes with our Dutch partner classes and we really enjoyed getting one back and looking at everything they put in there for us. We have posted our Summer Holiday wishes to our Dutch partner class in reply to their post. Jack and Isabelle (reception class) have posted all EASTER CARDS to our Dutch partner school! Lauren and Hannah helped to work out the volume of our good to fit in the container going off to Malawi on Jan 26th. We are very lucky to have Mrs Thumwood at Horsted as she has been able to set up a link to a school in The Netherlands. Children in Dutch club have been writing letters to their pen pals in both English and Dutch! Click here to see some of their wonderful letters! We have just exchanged Easter cards with our partner classes in The Netherlands. We have just exchanged Christmas cards with our partner classes in The Netherlands. Below is a picture of some of the cards we received and some of the cards we sent. We have received a wonderful gift from our Dutch friends. Thank you very much! Here are some pictures of Dutch children reading our Easter letters. Mr Geary received orange football hamsters for the Infants from AH Mijdrecht to support Holland in the World Cup. AH Mijdrecht is a big supermarket in Holland. A big thankyou to the Store Manager - we love them! Hup Holland! We are in the process of exchanging Easter cards. We have sent Christmas Cards to our school in the Netherlands. We have just received our cards back from Juliana School! Have a look at them below!